The pattern collection I’m putting together at the moment has three patterns that call for holding multiple strands of yarn together. Sometimes the best way to work multiple strands of yarn together is to work using both ends of one skein of yarn. There are a couple methods for knitting from both ends of a skein of yarn. 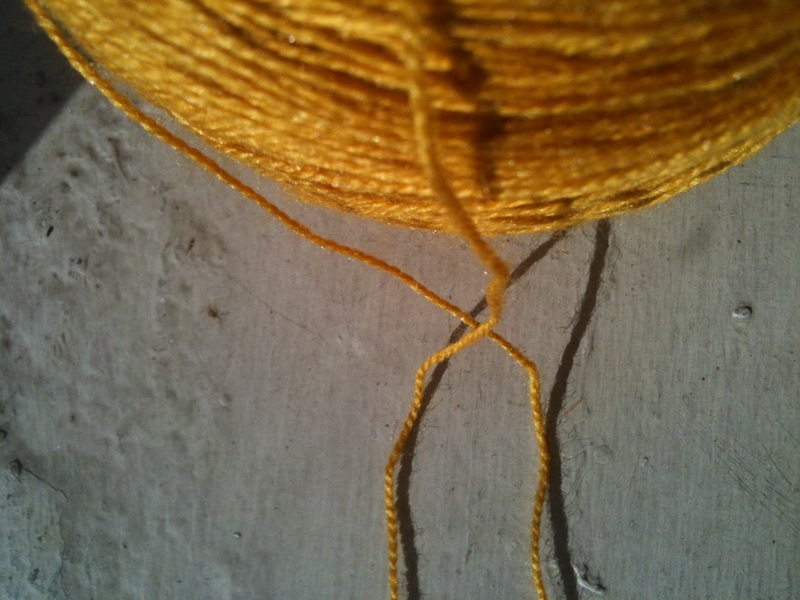 The second is to split the skein of yarn into two balls, and work holding the end of each ball together. 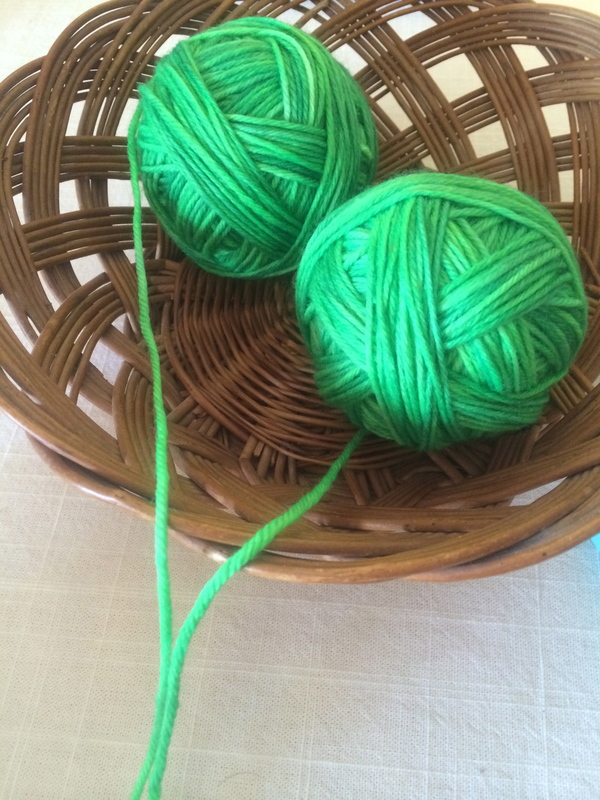 The tricky part about this method is getting the two balls of yarn to have the same amount of yardage. Generally the best way to do this is by weight. Take the ball band off your skein of yarn and measure your skein. 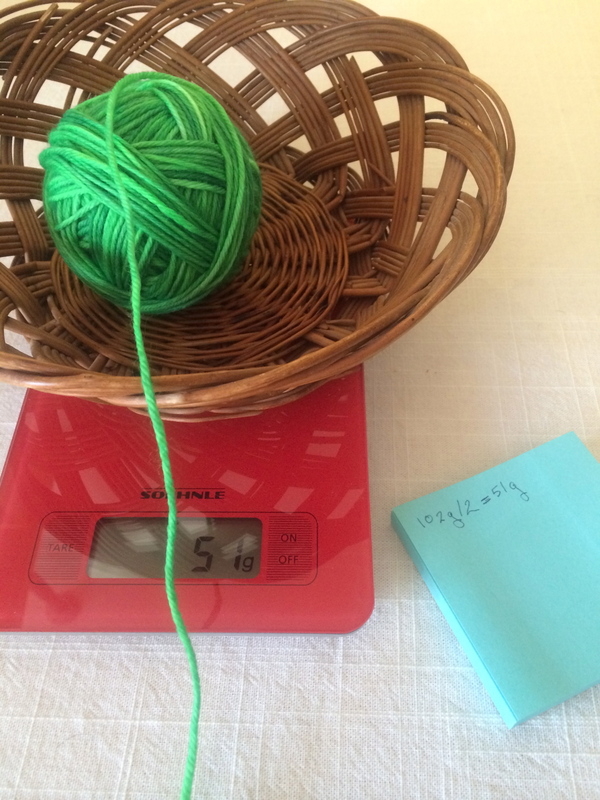 I just use a basic kitchen scale that I liberated from the kitchen and now only use for yarn. If your skein doesn’t fit on your scale you can use a basket or bowl to hold it, but be sure not to include the weight of the basket in the weight of your skein. If your scale includes a “tare” button, set your basket on you scale, and press “tare” this will zero out the weight already on your scale (the basket) and just weight your yarn. 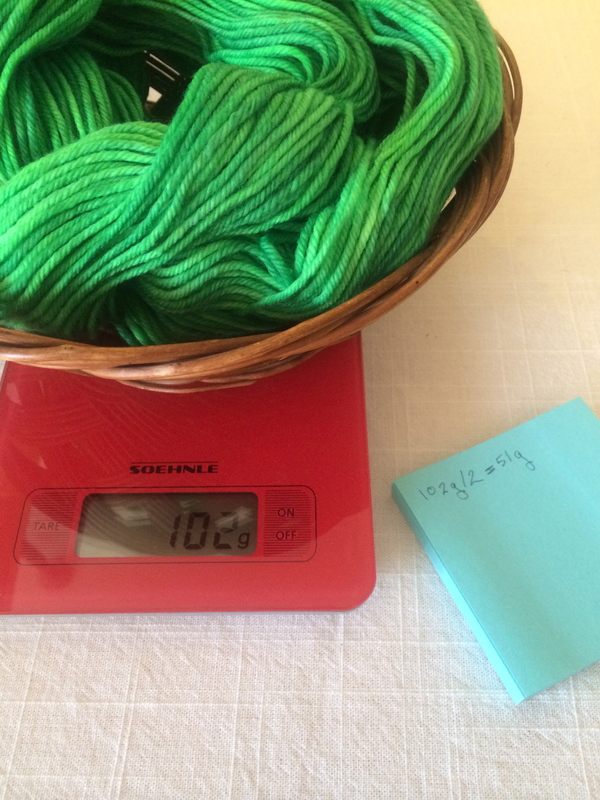 If your scale doesn’t include a “tare” button, set your basket on your scale and make a note of it’s weight, then subtract the weight of your basket from the weight of your basket plus your skein of yarn. 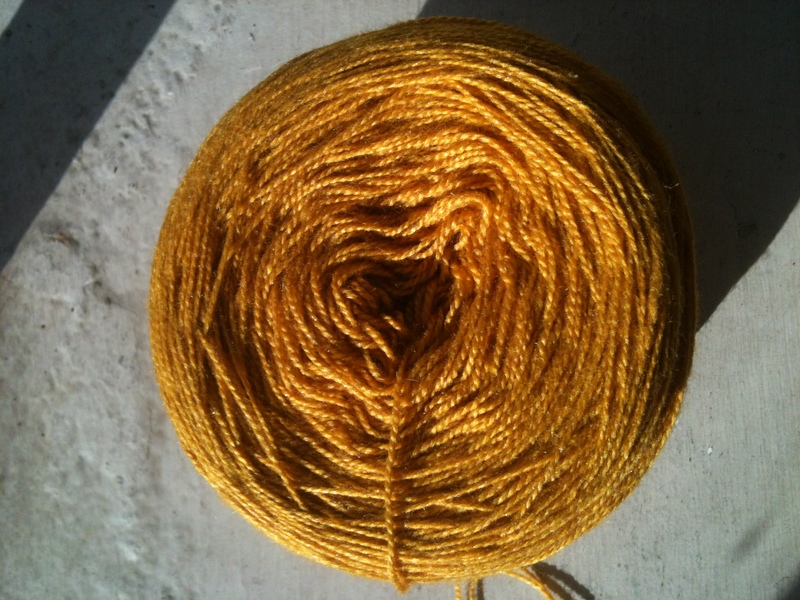 Then divide the total weight of your skein in half. Wind a ball, measuring it’s weight periodically, and stopping when it reaches half the weight of your original skein. Break the yarn and then wind the second half of your skein into the second ball. Then simply knit holding the end of each ball together. I prefer using a center pull ball, but knowing how to split a skein into to equal balls is certainly useful, especially for knitting pairs of things, (like mittens or socks).